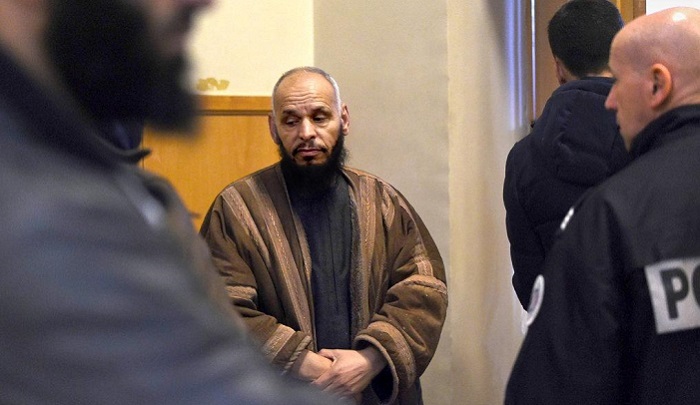 The harm that might come to non-Muslims in France if Doudi is not deported is not a matter of concern for the European Court of Human Rights. The court is not interested in protecting the lives and well-being of non-Muslims. No surprise here. The Qur’an depicts the Jews as inveterately evil and bent on destroying the well-being of the Muslims. They are the strongest of all people in enmity toward the Muslims (5:82); they fabricate things and falsely ascribe them to Allah (2:79; 3:75, 3:181); they claim that Allah’s power is limited (5:64); they love to listen to lies (5:41); they disobey Allah and never observe his commands (5:13). They are disputing and quarreling (2:247); hiding the truth and misleading people (3:78); staging rebellion against the prophets and rejecting their guidance (2:55); being hypocritical (2:14, 2:44); giving preference to their own interests over the teachings of Muhammad (2:87); wishing evil for people and trying to mislead them (2:109); feeling pain when others are happy or fortunate (3:120); being arrogant about their being Allah’s beloved people (5:18); devouring people’s wealth by subterfuge (4:161); slandering the true religion and being cursed by Allah (4:46); killing the prophets (2:61); being merciless and heartless (2:74); never keeping their promises or fulfilling their words (2:100); being unrestrained in committing sins (5:79); being cowardly (59:13-14); being miserly (4:53); being transformed into apes and pigs for breaking the Sabbath (2:63-65; 5:59-60; 7:166); and more. They are under Allah’s curse (9:30), and Muslims should wage war against them and subjugate them under Islamic hegemony (9:29). An extremist imam used his Friday prayer last week to call on Muslims and Palestinians to disavow non-violent protest against Israel. But the imam was not preaching from the West Bank or Gaza Strip. This imam was yet another spiritual leader espousing radical views from the United States, joining a long list of other U.S.-based Muslim leaders who have promoted anti-Semitism and incited violence against Jews and Israelis. Mohamed Elbar – an imam at the Islamic Society of Bay Ridge (a.k.a. Masjid Musab) – delivered a sermon in Brooklyn April 13 that amounted to violent incitement. Elbar was not trying to keep this view secret in a private setting of committed individuals. On the contrary, his sermon was live-streamed on the Islamic Society’s official Facebook page, broadcast publicly to its followers and translated by the Investigative Project on Terrorism (IPT). It remained accessible as of this publication. Elbar reserved harsh criticism for some unidentified imams and preachers who he said issued religious decrees (fatwas) calling for non-violence against Israel. According to the imam, these preachers only advocate direct confrontations if there is symmetry in power. “They [other imams] tell them [individuals in the Palestinian territories]: ‘You don’t have the kind of weaponry that the Zionist entity has, so it’s not right for you to stand up to the Zionist entity, because if you stand up to them and get killed by the Zionist entity, it’s as if you killed yourself,’” Elbar preached. By offering such passionate criticism, Elbar is encouraging violence and promoting terrorism among Palestinians to coerce concessions from Israel. He warned that if Palestinians and Muslims “give up” the fight against Israel, then Israelis will destroy the Al Aqsa Mosque in Jerusalem. He also engages in anti-Semitic historical revisionism by claiming that the Jews will re-build a “Temple of no value and no historical evidence” over the mosque’s ruins. “It [Al Aqsa Mosque] will get demolished if we abandoned it and an alleged Temple of no value and no historical evidence of its existence would be built to replace it,” Elbar claims. Propagating such a destructive scenario is a form of violent incitement, especially since previous false allegations of Israeli changes to the religious status quo in Jerusalem have led to outbreaks in Palestinian violence. Palestinian Authority President Mahmoud Abbas espoused a similar view in the past, which encouraged a wave of Palestinian stabbing attacks and terrorism in Jerusalem and surrounding areas. Elbar, who is also a professor of Islamic Studies at the Graduate Theological Foundation and teaches “Da’wah related courses” (proselytizing Islam) at the Manara Institute, has a history of making radical statements. Elbar’s history of anti-Semitic and radical Islamist preaching resembles extremist sentiment embraced by several other imams in the United States….